Columns: Ionic, Doric and Corinthian. Jason Oliva with collector. NYC. December 2013. 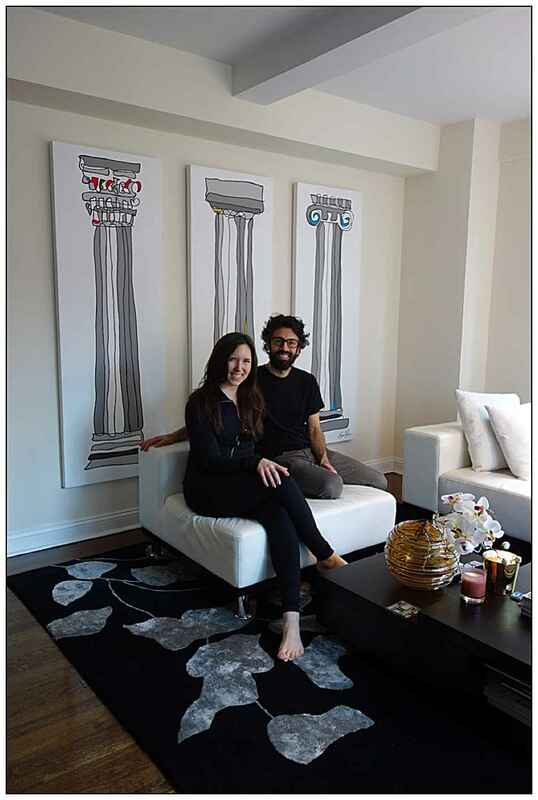 Back in December, Sophie and I took the paintings ‘Columns: Ionic, Doric and Corinthian’ on the subway to 59th Street and hung them on the wall for one of our collectors. There had been some concern as to whether these works would be too large and appear squashed on the wall so I’d offered to just hang them up and see. As soon as they were on the wall however that was it – a match made in heaven. Champagne and big smiles followed shortly after. Columns: Ionic, Doric and Corinthian. 2013. Three panels. Acrylic on Canvas. 72 x 24 inches. 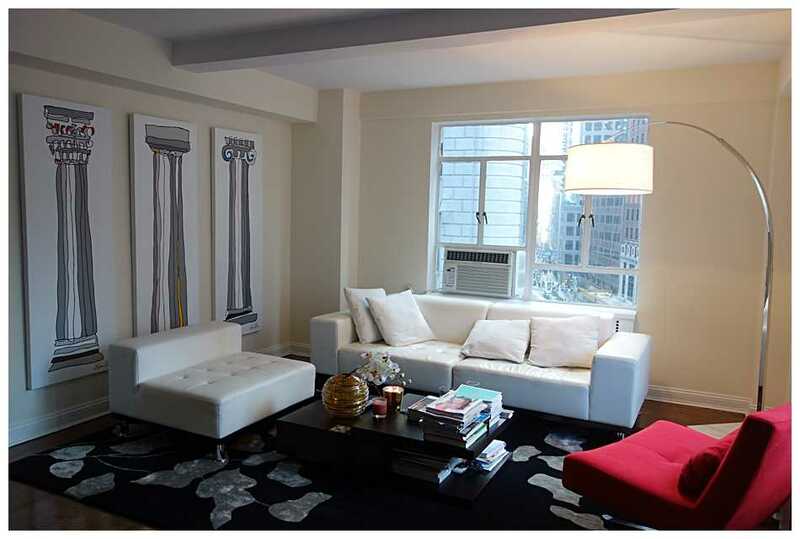 Jason Oliva in Tribeca studio with Columns: Ionic, Doric and Corinthian. Previous Brad Richards, Vietti Wine, New York Vintners and Jason Oliva Join Forces! 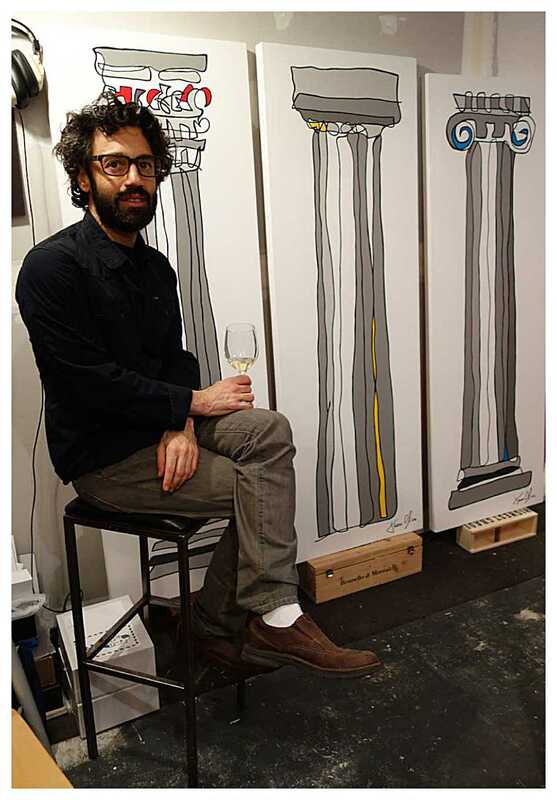 Next Jason Oliva: Open Studio Thursday 20th February.